Many believe that the word mole (pronounce moe-lay) comes from the Spanish word moler meaning “to grind” but it actually comes from Nahuatl word Molli (sauce) or chimolli (chili sauce). 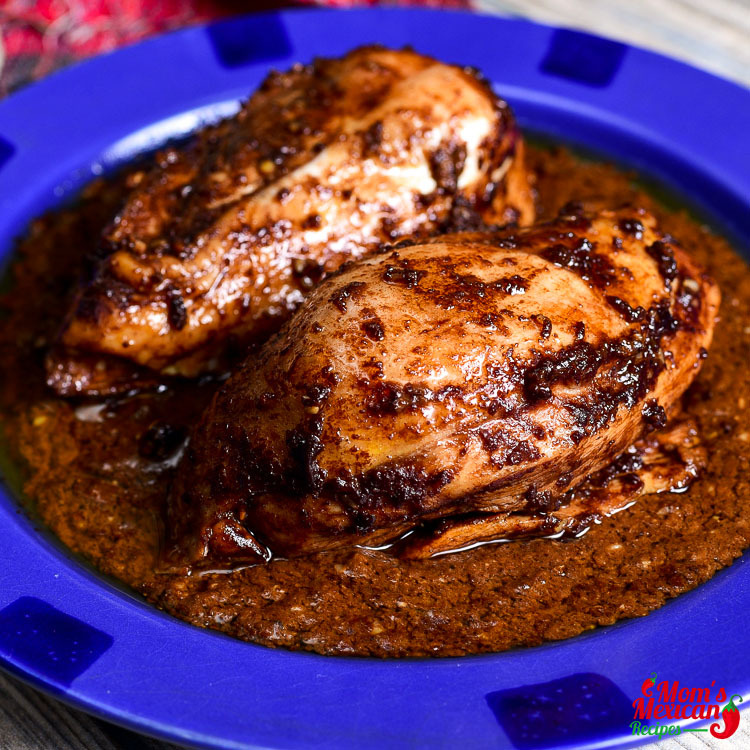 Grilled Chicken Mole Recipe comes in a variety of delicious flavors and ingredients, with chili peppers and chocolate as the common ingredients. 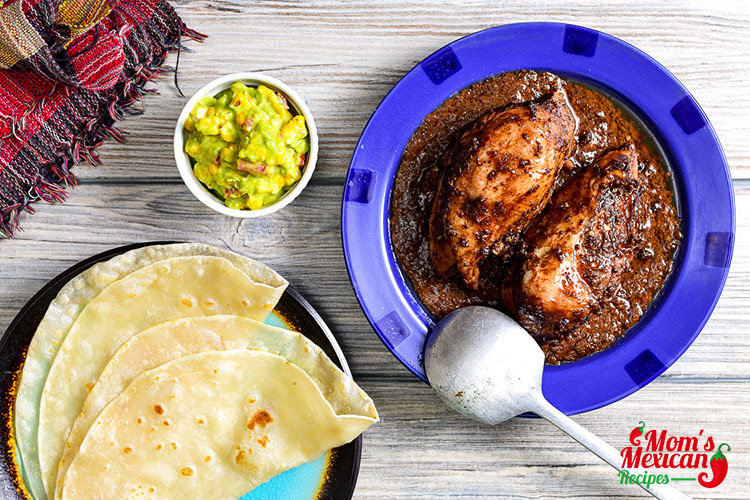 There are many different kinds of mole sauce, the best known is the Mole Poblano which contains many ingredients including chocolate. The sauce contains a fruit, chili peppers, nut and spices like black pepper, cinnamon and cumin. This sauce is best made at least a day ahead, allowing flavors to mingle and develop beautifully. Always store, covered, in the refrigerator. It is used as a base for cooking a stew or a sauce to pour over chicken or meat. 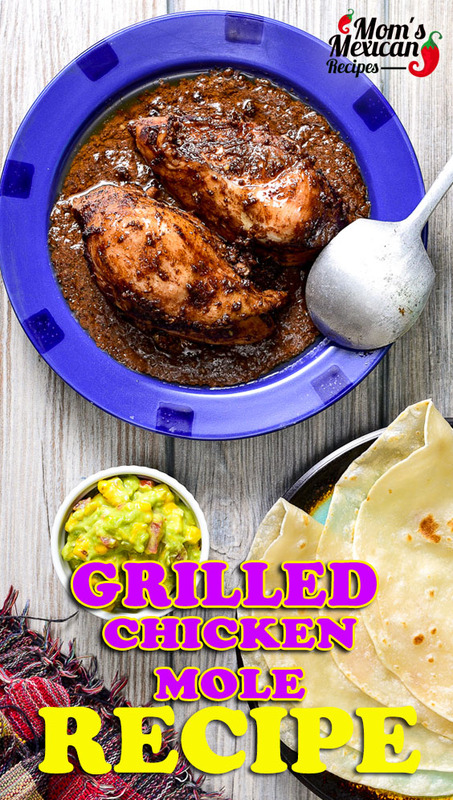 One of the best known Mexican specialty is the Grilled Chicken Mole Recipe. This dish is always present at every special event of Mexican lives. In this recipe, we use Chicken for grilling. Chicken pieces, wings, and drumsticks are always popular and economical too. Grilled Chicken especially thicker pieces are often served blackened on the outside and rare in the center. Never serve rare chicken as the bacteria which may be present will not have been destroyed. 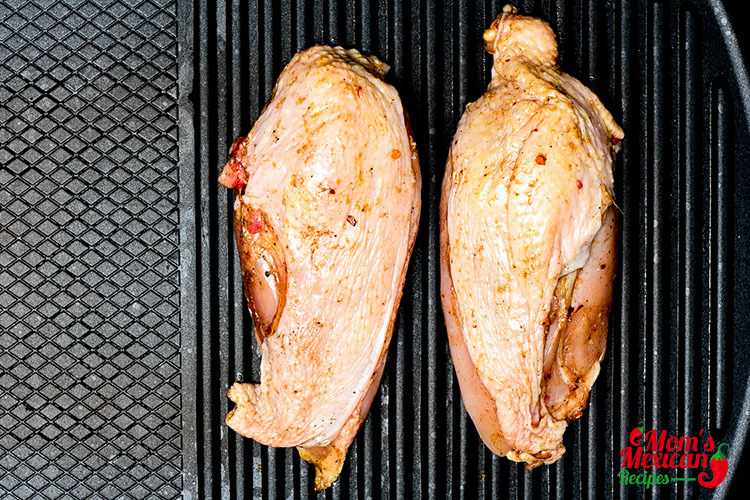 To cook the chicken properly, place the chicken on the cooler part of the wire rack and turning occasionally to allow heat to penetrate to the center. 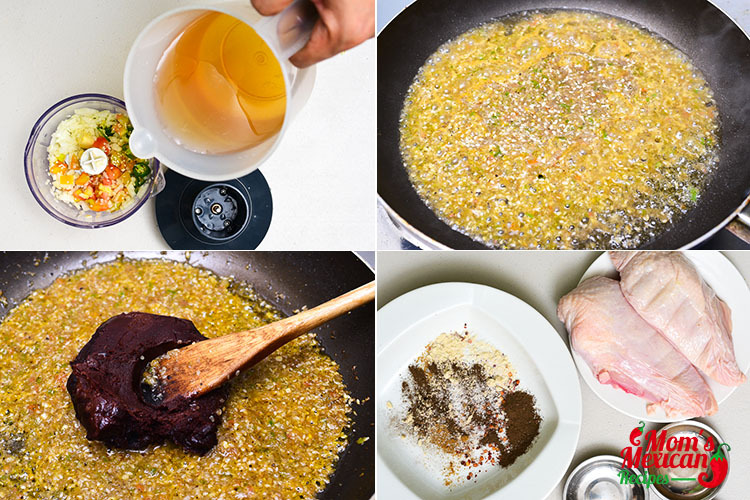 Basting chicken with a flavored oil adds tang and keeps chicken moist. Blend tomatoes, onion, garlic, serranos, sesame seeds, and a cup chicken broth until smooth. Season with salt and pepper. Heat oil in a skillet. Pour in the sauce and simmer for 5 minutes. Add the mole paste and remaining chicken broth. Cook for 25 minutes. Combine salt, pepper, garlic powder, cumin, and chili flakes in a bowl. Season chicken with seasoning blend. Cook the chicken on the grill for 4-5 minutes per side. 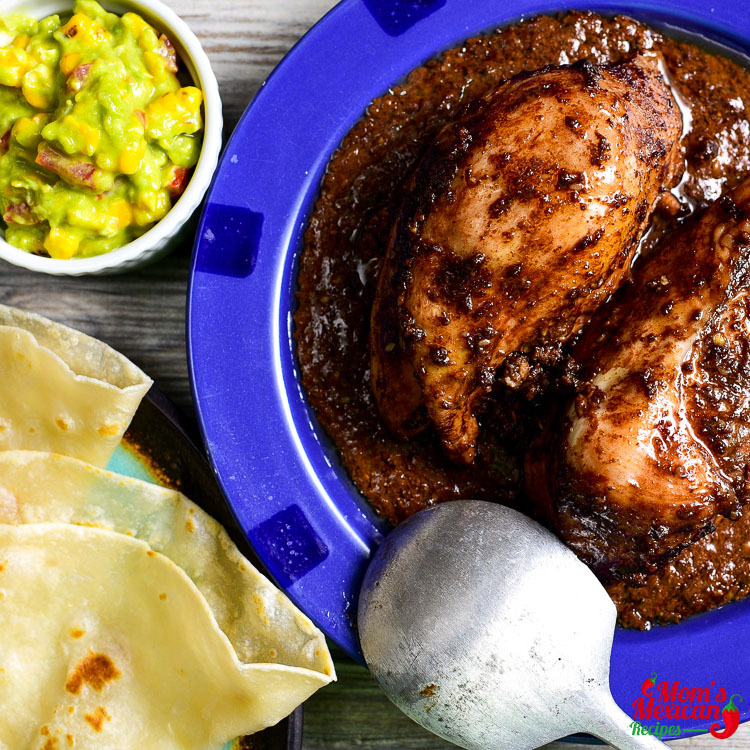 Serve chicken topped with mole sauce and sesame seeds. 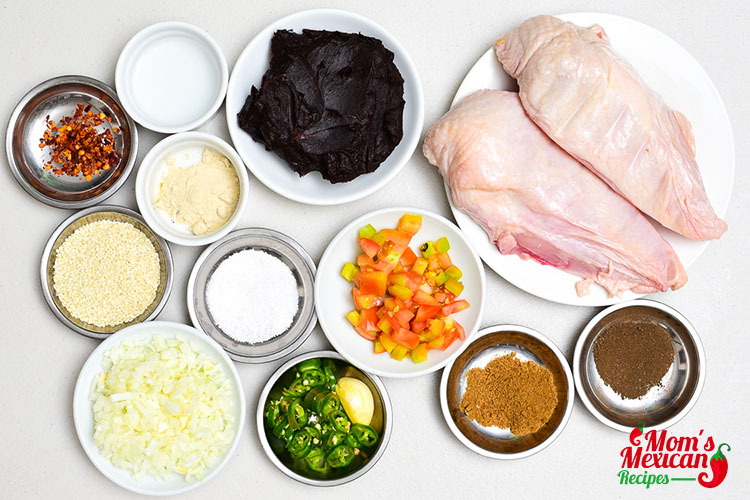 Preparing the mole sauce is a time consuming just looking on the list of ingredients and the long instruction of how to make it. But it is worthy of making it and mixed in the grilled chicken before serving over rice or just pour the sauce over everything. Then top the chicken with sesame seeds and with some veggies on the side.